We’ll help you find the best accommodation for you! Here at Spanish Uruguay, we know that part of a great learning experience involves being able to travel, and feeling safe and comfortable. That’s why we’re dedicated not just to your educational experience, but also to finding you the perfect place to stay while you’re in Uruguay and helping you go on rewarding excursions and travel tours. We work closely with a short term apartment rental agency in Montevideo that offers all kinds of apartments: economy, luxury, classic or modern, small or spacious. We hve personally visited these apartments and can ensure the highest quality possible. 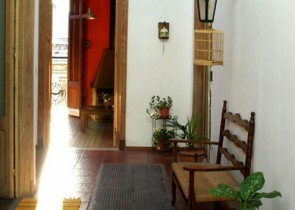 We also offer a homestay program, where you can stay with an individual or family in Montevideo. We highly recommend this option, as it is a great way to continuously practice your Spanish and to get to know the culture better! We also offer travel tours designed exclusively for our students. Students may reserve spots in tours or excursions that go to various destinations in Uruguay, including the popular beach cities Punta del Este and the historical, colonial-style Colonia del Sacramento. Students can also embark on day trips to a traditional Estancia (ranch) or enjoy a day-long wine tour. We work closely with a travel agency that can also help students arrange affordable, enjoyable tours in Argentina. At Spanish Uruguay, not only will we help you learn Spanish quickly and efficiently, but we’ll make your stay the best it can possibly be through high-quality accommodations and excursions.